“Legislation Should Be About Good Policy and Not About Politics”. Living in the Prescott area most of my life, it’s my honor serving LD1 for 8 years in the Senate and House and 11 years as Chino Valley Mayor and Prescott City Councilwoman, all while adhering to those words. As a business owner and experienced civic leader, I bring ideas to the table finding common ground, resulting in successful bi-partisan legislation. Introduced bills range from funding full day kindergarten; expansion of JTED education programs; eliminating business regulations; workers comp fraud; water harvesting; Yarnell Hotshot State Park; highway infrastructure; reducing government waste. This has resulted in 35 legislative awards from Az. Chamber of Commerce Legislator of the Year; Az. 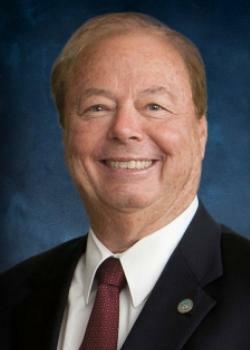 Capitol Times Legislator of Year in Public Policy; Champion Az. League of Cities & Towns; Legislator of the Year JTED/CTE; Golden Apple Award; Hero of the Taxpayer. I will continue to fight for our rural communities; public safety; I17 hwy corridor improvements; local water issues; education funding; ranching and AG. industries; and ensuring a balanced budget. I appreciate the trust and confidence you have placed in me and ask for your continued support and vote. 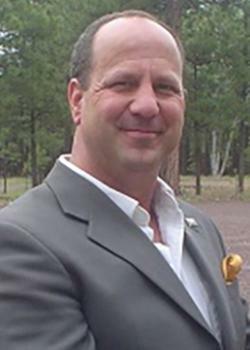 Jo Craycraft retired as Special Agent with the FBI after working 20 years for the federal government and has lived in Prescott since 2014. 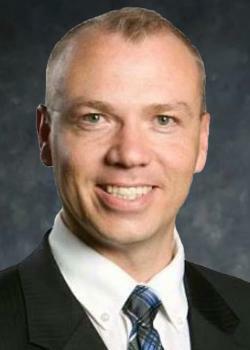 Prior to the FBI, Craycraft was a police officer for 10 years. She has her heart and mind set on being the next state senator in legislative district 1. 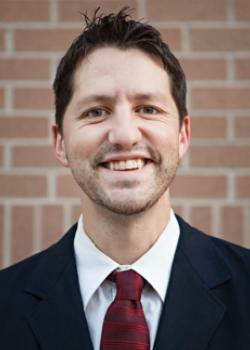 Craycraft is a lawyer with a wealth of public service experience and knowledge. Her education in Psychology and Criminal Justice, extensive law enforcement background has prepared her to serve in the state legislature. 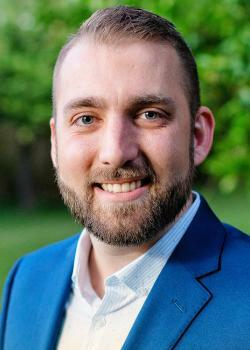 Craycraft is a clean elections candidate and strongly believes there is no place for special interests or the influence of dirty money in government. Craycraft is an independent-minded Democrat, dedicated to serving the best interests of our communities as a fiscal conservative and common-sense lawmaker. Her number one priority is to fully fund public, district schools by changing laws that allow corporations to take advantage of outdated tax credits and loopholes that cost us over 13 billion dollars in lost revenue to the general fund annually. Craycraft will work for the people to create jobs, boost our economy through infrastructure projects and renewable energy investment and bring hope, prosperity and opportunity to all. 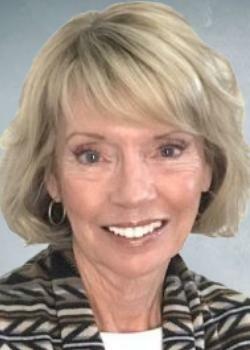 Shelley began her career as a public school teacher and coach in 1978 and continued to teach in SC, MD, OH, and VA until 1989. 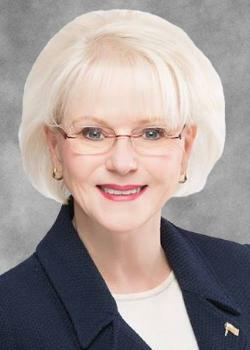 Shelley then began her consulting business which is now located in Tucson providing services to large companies/government agencies throughout the world. Born in Buffalo, NY Shelley moved with her family to the Panama Canal Zone when she was 11 years old. Today Shelley lives with her husband Jim in Sahuarita, Arizona. They have two grown children. 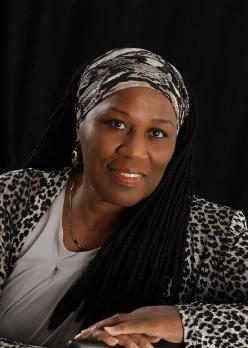 Completing her secondary schooling in Panama, Shelley went on to graduate from the University of South Carolina, holds a Master of Business Administration from Frostburg State University, and Doctoral studies at Walden University. She is a Certified Government Financial Manager (CGFM) and a Certified Coaching Practitioner(CCP). As a Diplomat of the American Forensic Board of Examiners, Shelley is nationally recognized for her work in analytics and big data. 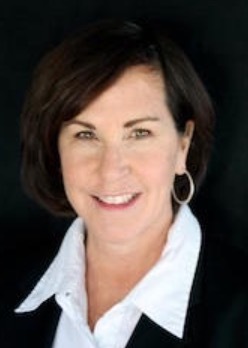 A two time recipient of the Faculty Excellence Award from the Graduate School of Washington DC and a member of the Instructor Hall of Fame, Shelley provides solutions to her clients and pledges to do the same when she represents LD2 in Phoenix. Bobby Wilson has an amazing story to tell and inspires his college students to succeed in life. He was a poor Oklahoma farm boy that overcame incredible odds to achieve the American Dream. He and his sister were raised by a single mother living in the backwoods of S.E. Oklahoma. 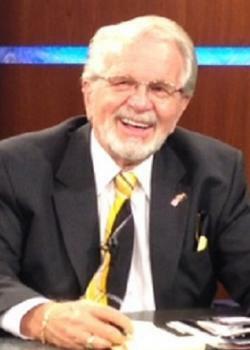 In 1963 he gradated from high school and worked his way through college (B.A. in Political Science) and law school (Doctor of Jurisprudence). 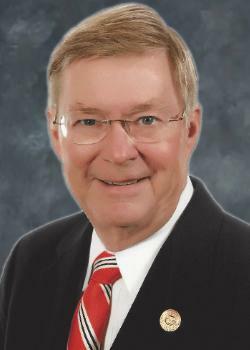 He practiced law for many years and then moved to Arizona and began developing and teaching college business and paralegal law classes at Maricopa Community Colleges in Phoenix and continues to do so to this day. He was voted Outstanding Adjunct Instructor there on three different occasions. He established and managed a licensed private investigation agency in Arizona for ten years and sold it to his employees. 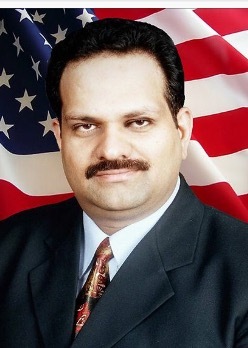 He established a U.S. business services company in Mexico and later sold it to his Mexican employees, who he trained in American business practices. He and his wife, Eileen, live in Green Valley, AZ. and raised three daughters. They both volunteer at the Green Valley "Friends In Deed" and "Catholic Church". 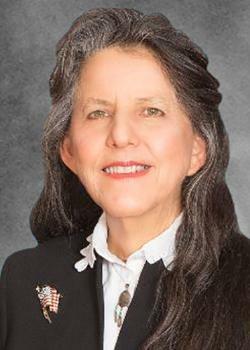 2214 E Falcon Vista Dr.
My name is Sally Ann Gonzales I've served as one of your State Representatives for the past seven years. As a member of the Arizona House, it has been my mission to promote the protection of our most vulnerable citizens—especially children and our elders. As state Senator, I will work to continue Medicaid expansion for the millions who need it and to stop the continued assault on our public district schools while improving the working conditions for our dedicated teachers. I am also committed to expanding vocational opportunities and upgrading our workforce by funding and supporting programs like JTED. It is essential that our three Universities be recognized, treated and funded as engines of economic development in our state. Arizona government must also work to assure protection and improvement of our environment by fighting to keep strong and effective EPA standards. Clean air and water are essential to the well-being of our citizenry. To further my work on these causes, I am now a candidate for Arizona State Senate 2018. I commit myself to these priorities and humbly ask for your support. It is and has been my honor to serve Southern Arizona constituents for the past 7 years. I just finished my first term in the State Senate and I continue to keep my focus on a balanced budget, a strong state economy, jobs, improving our schools, limiting the size and scope of government, protecting the taxpayers, and defending our Constitution. There is a non-stop battle between those on the left who want to grow our government, raise our taxes, and chip away at our freedoms – and those of us on the right who want to increase our freedoms by letting you keep more of what you earn and by keeping government out of your lives as much as possible. I will always be on the side of freedom. I was and will always be a US Marine, and I am also involved in doing what I can to help our veterans and to make Arizona a veteran-friendly state. Never hesitate to contact me if I can be of service to you, and thank you for the honor of getting to represent you in the State Senate. I’m not a politician or a diplomat, I’m a political activist who's “fed up” with the Washington status quo that creates gridlock and polarized parties. I’m a Kingman property owner ready to change outdated water rights laws that were never intended to allow foreign investors to capitalize on commercial agriculture that drain aquifers dry. I’m a US Army veteran with a service-connected disability and three-time cancer survivor concerned about the challenges to accessing quality health care in the remote rural parts of LD5. And I’m a constituent concerned about the political division and lack of genuine representation by our elected officials who don’t even bother to attend local town halls. I’ve earned an associate’s degree, a bachelor’s degree, a master's degree, and two post-baccalaureate certificates. My work experience is in Social Work and Education. And I built a successful private counseling practice before moving to Arizona in 2009. 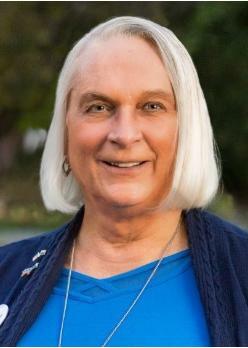 And I’m ready to start having a different kind of conversation between representatives and the constituents they are elected to serve by listening to everyone involved and searching for the common ground to problems so that true bi-partisan solutions can be achieved that serve the common good of the people. 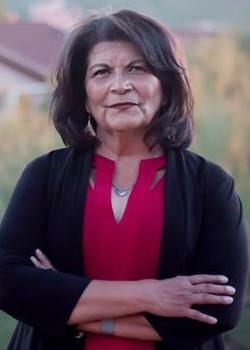 Jamescita Mae Peshlakai is currently serving her first term in the Arizona Senate as the state's first Native American woman senator, representing legislative district 7. 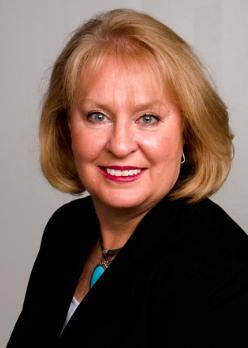 She formerly served in the state House of Representatives in the Fifty-first Legislature from 2013 to 2015. She holds a Bachelor's degree in History and a Master's degree in Educational Psychology from Northern Arizona University. As a young woman, she served in the U.S. Army and is a Persian Gulf War veteran. Sen. Peshlakai's culturally diverse district spans the seven counties of Apache, Coconino, Gila, Graham, Mohave, Navajo, and Pinal — including the communities of Fredonia, Page, Winslow, Show Low, and St. Johns. Nine tribes comprise most the district's constituents—Hualapai, Havasupai, Kaibab Paiute, San Juan Southern Paiute, Navajo, Hopi, White Mountain Apache, San Carlos Apache and Zuni Pueblo. The district is the most extensive legislative district in the contiguous United States, stretching from near Lake Mead to the Four Corners National Monument, and south beyond Globe. It contains some of the most beautiful parks and natural wonders in the world—the Grand Canyon, the San Francisco Peaks, Monument Valley, the White Mountains, and the Colorado River. 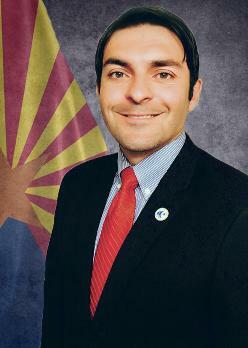 It has been my privilege to represent you in the Arizona State Legislature. I have lived in Arizona my entire life and have operated a farm and small business for many years. My wife is an educator. My son was born and raised here; the grandchildren live here too. In meetings with thousands of ordinary people in our district, they have told me about their concerns and I take them very seriously. Three issues have repeated come up - education, jobs, and public safety. I have made working on these issues my number one priority at the legislature. I will continue to work to make our communities safe through adequate police and fire protection, continue my efforts to improve educational opportunities for all and to get better teacher pay and more resources into the class room. I have received a lot of recognition for playing an important role in putting policies in place that attract jobs to rural Arizona. I will continue to work for policies to create more and better jobs. You have my word that l will always put you and your family first in the State Legislature. I would be honored to receive your vote. 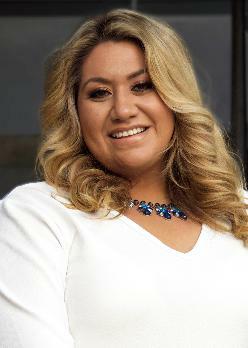 Natali Fierros-Bock is a fourth-generation Arizonan, an educator, wife and mother, working to represent Legislative District 8 in the State Senate. As a public school educator in the district, Natali has both elementary and middle school experience. 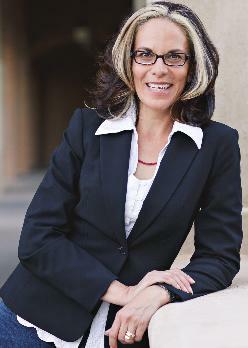 She is equipped with firsthand knowledge of the struggles facing Arizona’s education system today. Natali is ready to address the problems plaguing our system and create win/win solutions for our children, our teachers and our communities. Natali was appointed Chair of Legislative District 8 Democrats and helped to build and train the largest group of Precinct Committeepeople in the county, increasing their numbers by over one-third. Her grassroots efforts are rooted in community organizing and relationship building. She has used and will continue to use her voice and influence to make Arizona a more equitable place for all, advocate for working and middle class families and ensure the health and safety of all Arizonans. Natali has a B.A. from Pepperdine University and returned to school to get a master’s degree in Elementary Education. She lives in San Tan Valley with her husband, Jim, also an educator, and their three daughters. I practiced medicine for 30 years as a Physician Assistant in emergency rooms, clinics, OB/Gyn practices and rural hospitals. My years of experience living and working in small towns prepared me well to understand the unique needs of a growing rural district. As a national PA leader, community activist and board member, I understand how to collaborate and work with diverse groups to get the job done. I will fight for you by protecting the welfare of families, expanding access to healthcare, improving our infrastructure and work to fully restore public education funding. I believe in equality, fairness and equal pay. I will work to expand vocational and community college education, preparing our students for their future. I am dedicated to protecting the environment and working hard for you on tough issues like water and transportation. I have decades of experience in communities developing programs for pregnant teens, women at risk for domestic violence and homelessness and substance abuse. I believe in leadership that is compassionate, thoughtful and pragmatic. I will represent you by listening closely and then working to address your issues. My door will always be open because you are my highest priority. Every voice matters! I am a long term Tucson resident with over 30 years experience in IBM and more than a decade of private business experience as owner of a local insurance agency. I am all too familiar with the issues that face our community, economic viability, quality education and government financial accountability. I have been actively involved in local education, advocating quality public education in our community. I have worked with local neighborhood associations promoting improved community quality of life and greater local safety and protection. Married for more than 30 years, I have two grown children, now living in New York. I have a BSEE from Purdue University and have devoted my career to delivering business value and improving the community based on advanced economic opportunity for all. 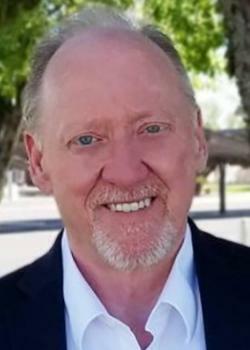 Volunteering as an advocate for public education and healthcare for the past sixteen years in Phoenix and Washington, D.C., Jim Love is running for the Arizona State Senate in Legislative District 9. 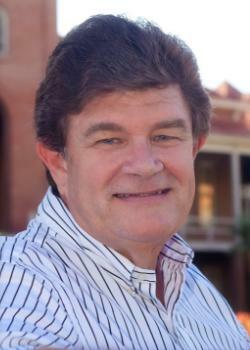 Jim arrived in Tucson in 1962, enrolling in Amphitheater High School. He met his future wife, Diane McGlone. Their plans were delayed as Jim entered the navy and served in the Vietnam War. Upon his return, Jim and Diane were married 51 years, before Diane’s unexpected death last year. 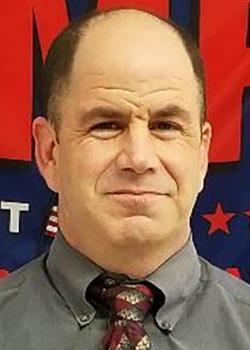 Jim is serving in his 18th year on the Flowing Wells School Board. Jim, as a board member, recognized the need for increased student funding, and during the legislative session travels to Phoenix weekly to work with legislators on passing legislation. 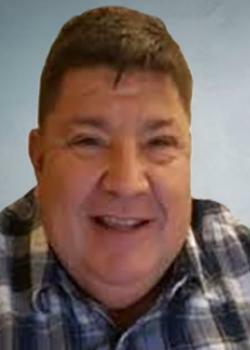 Jim has worked 40 years as a respiratory therapist, currently in Casa Grande. He recognizes the role community medical centers play in providing quality care. 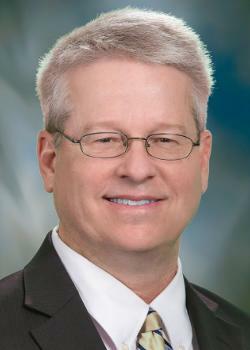 His proudest professional accomplishment was being appointed to the Board of Respiratory Care Examiners . Jim Love will put Arizona residents first and work to provide the best public schools, high quality healthcare, protect clean water, and encourage industry to be a nationwide leader in renewable energy. 4550 N. Flowing Wells Rd. I’m running for State Senate to create a fair economy – one that works for everyone, (not just a few). We need good jobs, good roads, world-class education, and a clean energy economy. Let’s make Arizona the Solar Capitol of the World! You deserve a Senator with the courage and experience to stand up for you and your family. I am that person. I am doing a listening tour throughout my district and I look forward to hearing from you on issues that are most important to you. 9055 E. Bears Path Rd. As your State Senator, I will work hard to create a culture of clarity/transparency, accountability, and performance for the citizens of Tucson, and Arizona. I have a strong fiscal background in leadership and policy making in both the executive and legislative branches of the U.S. government. I continue to advise government organizations on how to achieve high performance through strategic and operational planning, organizational/leadership development, and training. My commitment to you is to listen and respond to your needs, as I have done in previous positions, like: •	Senior Resource Advisor/Organizational Expert - DOD •	Chief Operating Officer - Award-Winning Federal Franchise •	Executive Director - National Immigration Center •	Managing Director - World-Wide Operational Budget •	Senior Resource Manager - U.S. Capitol With a BS in Management and an MBA, and as a graduate of Harvard University, John F. Kennedy School of Government Senior Officials in National Security program, I am well qualified to represent you. I have served as a Malcolm Baldrige Examiner, am a certified government financial manager (CGFM), and certified executive coach. Throughout my career, I have transformed many organizations with my enlightened and innovative leadership. I will do the same for people of Arizona. 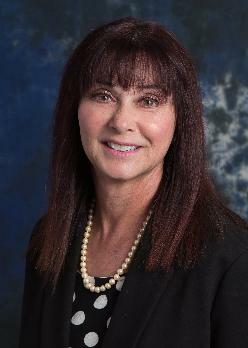 11115 West Mountain Shadows Dr.
My name is Elizabeth Brown and I come from a family of public school educators. I learned the value of public education and I want my grandchildren and all children to have the same opportunity. I am running for the State Senate because being ranked 48th in K-12 Education, 49th in pupil teacher ratio and 50th in teacher pay is a travesty, an embarrassment and is unacceptable for the people of this state. Our state can do better than this. We live in the Valley of the Sun. In Maricopa County we have 296 days of sun. We can make it easier for people to have solar power at affordable rates. I was Girl Scout Leader. In Girl Scouts we taught how to conserve water and learn how to take care of the environment. We need legislators who are willing to pass laws that will help protect our air, water and land. As a former educator, Girl Scout leader,an employee for the Democratic Party, governor's office and State Senate, I have learned to listen to and work with others and I have learned the value of compromise.These three things are essential in being an effective legislator. LD13 is without an elected State Senator. The voters have a right to elect their State Senator. My beliefs: God and His Son Jesus Christ and who then died for our sins. The U.S. Constitution. Nullifying unconstitutional acts of the Federal Government. Pro-Life and Pro-Second Amendment. The Electoral College to select the President. Protect our civil liberties. That all government publications and voting ballots are to be in English. No State funding to any entity that provides any type of sanctuary status to illegals. No State benefits for illegals (illegals cost the State 2.3 billion dollars per year- your tax dollar!). Use the State Defense Force to secure our border until the wall gets built. Expand Empowerment Scholarship Accounts for all legal AZ parents. Institute school reforms to save our tax dollar. Change the law that when a State legislator resigns the voters get to elect. Stop political cronyism. Two proxies max for political organizations. Secure future water resources. No new taxes for services. Grow our economy and keep taxes low. I predict future happiness for Americans if they can prevent the government from wasting the labors of the people under the pretense of taking care of them- Thomas Jefferson. It has been my honor to serve as your State Senator. While everyone campaigns as a conservative, I can offer my actual conservative record, which is pro-taxpayer, pro-family, pro-life, and pro-Constitution. My focus continues to be limiting the size of our government while ensuring that what it must do, it does as well as possible. My family owns and operates a 4th generation dairy farm in Buckeye and our Arizona roots are deep in the soil. I’m grateful for the support of so many in our district, both in Maricopa and Yuma County, and I’m hard at work on the various concerns we have, from water to transportation to classroom funding to school safety to lower taxes to border security to protecting our 2nd Amendment rights, I’m going to keep working on all of it. God has truly blessed our country and our state but it is our responsibility to protect them both. Arizona is a national leader in job growth, school choice, educational improvement, and regulatory freedom. I ask for your vote and I promise to continue my work as a reliable conservative. We need leaders we can trust. Leaders who put the needs of the voters above their own interests. We’ve got real issues in this state. We deserve someone with the courage to face them head-on. Public school funding and educator pay is just one example. But those issues aren’t going to be addressed as long as out-of-state special interests and corporate lobbyists have more influence than the voters do. I intend to take on those issues, starting with corruption and conflict of interest in our state government, and make Arizona politics accountable to voters again. I grew up in Buckeye. Four generations of my family live here in Arizona. This is my home and I want it to be a place that allows all Arizonans to feel welcome, to prosper and succeed. For 21 years, I served my country in the Air Force. I’ve served in my community since then. I hope to serve you. Whether it’s jobs and wages, access to healthcare, extreme drought, or the desperate state of public education, these issues affect me and my family, just like yours. It’s personal. I’m asking for your vote so we can build a better Arizona together. I was honored to serve you in the State House, where I was named Champion of the Taxpayer, Friend of the Family, earned an A+ from the NRA, turned our state’s budget deficit into a surplus, and helped turn Arizona into the #1 pro-life, #1 pro-2nd Amendment, and #1 pro-school choice state in the country, all while cutting regulations and growing jobs. As a result of my leadership I was elected House Majority Leader and ultimately elected Speaker of the House, giving rural and Southern Arizona real influence, and making myself a top target of the liberal media and their fake news. With my longtime Senate seatmate Gail Griffin now running for the House, I’ve been asked to run for the State Senate to ensure that we keep a proven conservative in this important office. Like before, I promise to fight the left, defend what’s right, and give you my all, because I know how important the people's liberties and freedoms I fight for are. On behalf of my wife, my kids, and every one of the great volunteers helping in this effort, I ask for your vote on August 28th, so we can win this fight together! God Bless! 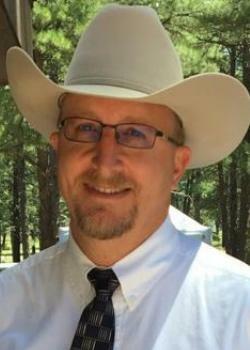 After serving my first term as your Arizona House Representative and almost 16 years as a Graham County Supervisor I am announcing my candidacy for the Arizona State Senate. “I have always told people that every individual needs to step up for their community when the opportunity arises. We need to continue strong consistent communication between citizens, local leaders, and the capital." 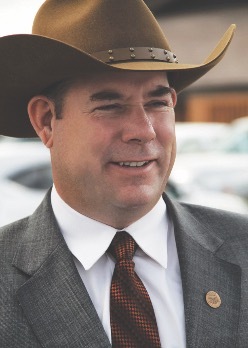 John, a 4th generation Arizonian, living his entire life in Legislative District 14, currently lives in Graham County and spent most of his youth living on a ranch and farm in Cochise County 20 miles north of Benson. 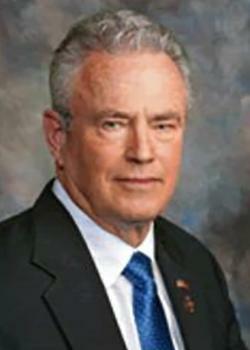 He attended Benson Union and Safford High Schools. He’s been married 42 years, has 3 children, 7 grandchildren and has operated small businesses in LD14 with family and on his own since he was 18 yrs old. HIs goals are: 1. Protect and preserve the rural lifestyle. 2. Prevent cookie cutter regulations for AZ, especially those impacting rural businesses and residents. 3. Smaller and more efficient government. I am a US veteran, mother of 3, (two children who are also veterans), as well as the wife of a retired veteran. I have a Bachelor of Science degree in Secondary Education, Social Science Comprehensive as well as English as a Second Language. As a local business owner and member of the community, I have grown tired of the career politicians and growth of the federal government at the expense of the people and the individual rights of all. I think it is time for a change. I am a constitutional, fiscal conservative. I want to shorten the grip our government has on our personal liberties and our money. It is time to give the power back to the people. We must start electing Representatives and not politicians. As a retired auditor I have the skills and insight to understand financial statements and budgets. Professional standards obligated us to serve and honor the public interest and trust. Working for the Army over 30 years I knew my customer was the soldier in the foxhole, in the Senate my focus will be district constituents. The Army ethos and values I learned in the Marine Corps have never failed me. I bring those values and business acumen to the district. I’m running for office because our Legislature has failed us. Our future is our children and grandchildren. When public school system funding is constantly cut and voter approved propositions are ignored it’s time for change. The Voter Protection Act is trampled on and incumbents put their donors above constituents. Incumbents enacted legislation to hide their donors by legislating “dark money” and they overreach into city and county business. We need to stop this extreme ideology that doesn’t reflect our values. We need to i) restore public education, ii) rollback state government overreach, and, iii) cleanup the State Capitol - let’s bring back the trust and values – vote for me. We are a state full of promise. We need to strengthen our educational system, secure economic growth in our rural communities, create a quality healthcare system that protects ALL Arizonans and protect our precious natural resources. - Mendy Gomez My vision for Arizona includes: Quality Education- My experience in the classroom, in educational advocacy work and my involvement in the #RedforEd movement, I am ready to tackle the education issues in our state. Economic Growth- As a former member of my community action board, I am prepared to tackle issues of securing job growth and infrastructure in our unique communities. Affordable Healthcare- Every Arizonan should be afforded quality, reliable healthcare. I will work hard to make healthcare a priority, especially in our rural communities. Environmental Protection - Southeastern Arizona has a precious resource - water. I will work hard to ensure we have this resource now and in the future. My experience growing up in a military family,with parents who taught me that the way to solve problems is by facing a challenge head-on, and working hard on finding a solution. I am ready to head to our capital to solve real issues that affect ALL Arizonans. Over the past 8 years, we balanced the state budget, cut taxes and put Arizona back on track! As Chair of the Health Committee, I successfully sponsored healthcare reforms to provide a more transparent and cost-effective healthcare system. I worked with patient advocacy groups to ensure that we receive world-class medical care in Arizona. As a former PVUSD teacher, Clinical Associate Professor at ASU, I have reduced government regulations and unfunded mandates to allow our schools to be more innovative, efficient and effective. I supported appropriating more money to our public schools, which enabled our teachers and school staff to receive raises. I also support school choice. I am a proud Second Amendment supporter, I am pro-life, and support policies to address illegal immigration and keep our community safe. Recognized as a top legislator, I am endorsed by, and won awards, from many organizations that promote conservative economic principles and strong family values. In 2013, I received the prestigious Copper Shield Veteran’s Award for my work and commitment to veteran issues. Most importantly, I am a mom, wife and daughter and I hope to earn your vote! I am a wife, a mother of three, an educator and I have been a resident of Arizona since my parents moved to Tucson when I was two years old. I have worked in higher education my entire adult life and am passionate about equal opportunity and access to a quality education. Our children deserve better than the status quo. We must fight for school funding and school safety for all of Arizona’s children and, if I am elected to serve, I will do just that. As a graduate of Arizona State and Cornell Universities, I have seen the positive impact that education can have on people’s lives. This passion lead me to serve as PTO president and on the governing board of my children’s school. 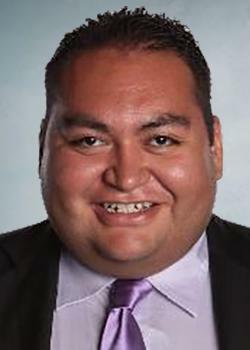 Mike Hernandez was born and raised in San Antonio, Texas. The last of four children, he was raised in a military family, his father is a retired Army Officer. 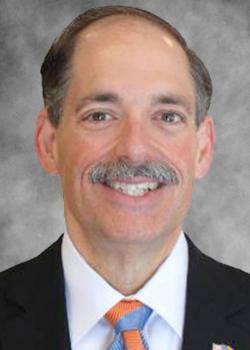 Mike spent his early career in retail sales, where he earned several awards for his achievements. In 2000, Mike moved into retail management where his passion for training and development led to a very successful career with two different Fortune 100 companies. In 2013 Mike started his journey into Real Estate. He now leads a team that will sell over 5 million in real residential homes in 2017. When you combine his friendly and warm personality with his passion for people. Mike is a natural fit to represent the people of District 16. Don’t take our word for it.Talk to him and see for yourself. I grew up in the Midwest and have lived in Arizona for more than seven years. I'm the father of three wonderful children. I've also owned a small business for over 20 years. My mother and father were both lifetime educators. I've volunteered in our schools and worked as a substitute teacher as a way to give back. In 2015, I started a crowd-funder to raise awareness about the problems in our schools. My values center around education for our children, leadership, family and friends, and philanthropy (simply doing what's right). I feel the need to represent those who are under-represented in our state, such as children, teachers and the blue-collar worker. I also think we can do better when it comes to healthcare. For far too long, our educational system has been broken, our teachers and laborers underpaid, and few options when it comes to healthcare. If elected, I aim to fix these problems in our great state of Arizona. As your State Representative I authored laws that directed more educational dollars into classrooms, created the Address Confidentiality Program for survivors of domestic violence and sexual offenses, helped employees who are owed wages, and promoted veteran-friendly college campuses. I won Guardian of Small Business, Champion of the Taxpayer, and Friend of the Family awards, and many others, and was subsequently honored to be elected Speaker of the House. Little did I know I'd be tasked with shepherding our Legislature through an historic time that included emotional debates over education funding and teacher pay, a high-profile case of sexual harassment, and more. Yet we passed good balanced budgets that reduced tax burdens while increasing school funding and dramatically boosting teacher pay by 20%. We also wrote groundbreaking policies to ensure personal conduct by legislators is held to the high standards the public deserves. With Steve Yarbrough retiring I’m asking for your vote to continue this important work in the State Senate. If elected I will continue to keep an open door, put my constituents first, and use my diverse background that includes husband, professor and small business owner with master's degrees in both business and public administration to deliver for you. I’m running because I care about you and want to build a better future for all of us! I've spent a lifetime helping people all over the world, including right here in Arizona. Whether it was rescuing an infant from a remote pacific island and rushing her to the United States for open-heart surgery or delivering food to starving people in Somalia, I have dedicated my life to caring for and protecting others. I care about education, and brought the Southwest Airlines Adopt-A-Pilot program to the Kyrene School District, reducing teacher workload. I also personally founded a Dollars for Scholars chapter here locally, reducing the cost of college education for hundreds of public high school students in our community. Others talk about the things they believe in, I do them. I am bilingual and son of an immigrant who watched his mother become a naturalized citizen. Connie and I have two wonderful daughters in public-school–scholar athletes–and we couldn't be prouder parents. Others will tell you what they believe, I can only say: this is who I am. I care about you. Education, healthcare and your safety are my priorities, and I humbly ask for your vote. I am a lifetime resident of District 19. I was raised in Cashion, AZ; attended Littleton Elementary School and Underdown Jr. High. 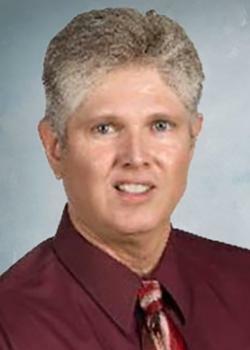 I am a Westview High School graduate, class of 1993. 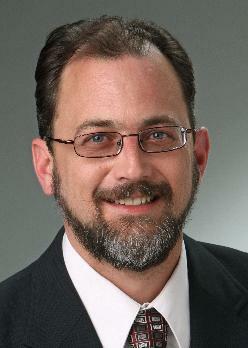 I have worked for Pomeroy and Associates for 19 years as the Director of New Business. I am married to Sara Contreras and we have 3 children: Lupe Jr., Violeta, and Amalia. We are Avondale residents living very close to Cashion where I grew up. My wife is a Special Education Teacher for Sierra Linda High School and our children attend school in the Littleton District. I’m honored to serve you. When I campaigned as a conservative I meant it. I’ve received the Guardian of Small Business; Friend of the Family; Hero of the Taxpayer and Champion of the Taxpayer awards, and an “A” rating from the American Conservative Union. My priorities remain: protecting life, protecting taxpayers, job creation, improving education through increased classroom funding and increasing teacher pay, and keeping our children safe from online predators. These last two sessions alone we’ve passed real balanced budgets, cut taxes, increased funding for school facilities, dramatically increased teacher pay, rolled back job-killing regulations, and watched as Arizona became one of the top job-producing states in the country. I’ve supported efforts to secure our border (that means building a wall! ), to stop ObamaCare, and to give parents a greater say in the education of their children. I’m proud of endorsements I’ve received from County Attorney Bill Montgomery, former US Senator Jon Kyl, and groups like Arizona Right to Life, the NRA, the Fraternal Order of Police, and many others, but the endorsement I want the most is yours! Please visit my website to learn more and never hesitate to contact me if you have any questions or comments. Residents of District 20 deserve a State Senator like Doug Ervin, who will listen to their needs, represent them honestly, and fight against the short-sightedness and greed that is unfortunately prevalent in politics. 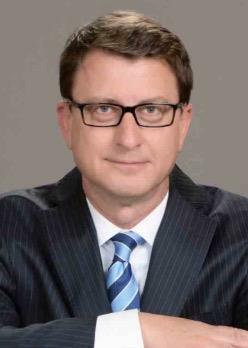 As an experienced accountant, corporate tax auditor, and financial systems architect, he possesses the knowledge necessary to critically analyze budgets and understand their true impact on our state’s economy. Moreover, exemplified through helping transform a small local business into an international firm, completing an Ironman triathlon, and tutoring 2nd-grade students in his free time, Doug understands the importance of hard work, perseverance, and patience. Doug’s platform consists of three main pillars: restoring public education funding without burdening working families, protecting the environment through conscientious and inclusive legislation, and ensuring that all individuals are treated equally and respectfully, regardless of their identities. Through these goals, he hopes to contribute to tangible improvements in the lives of LD20 residents. The son of a teacher, Doug has called Arizona home since the age of three and enjoys backpacking, reading, and spending time with his family. He is grateful for your time and support. 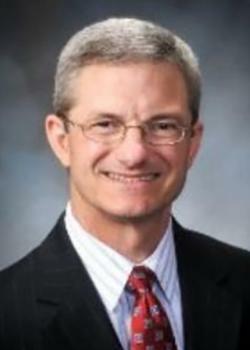 Vote Doug Ervin for State Senator. 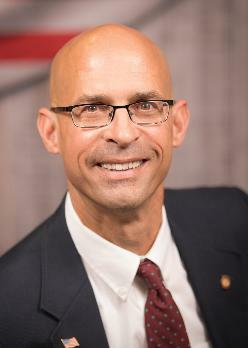 Rick was born and raised in the heart of the Midwest, Omaha, Nebraska. While growing up in the Midwest he developed strong Midwest Values, which includes working hard, taking care of your family and treating others the way you would want to be treated. He has lived these values his entire life. On their first visit Rick, and his wife Lisa, fell in love with Arizona, and shortly afterward moved to the Phoenix area. 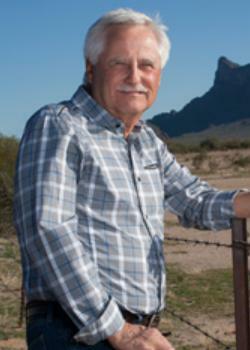 After arriving in Arizona, Rick contributed to the Arizona economy by starting a small business, which focused on the Northwest Valley area. Rick also became an active volunteer in the community that he loves. 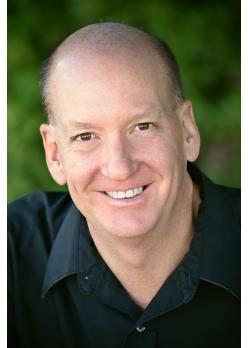 Rick belongs to and serves, or has served, on the boards of multiple nonprofit organizations in the northwest valley. 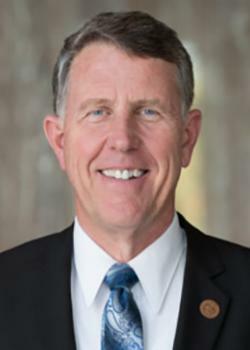 Rick had also been elected to the Arizona House of Representative for 3 terms and has served as House Majority Whip as well as Chairman and Vice Chair of several committees. Rick graduated from Grace University earning a Bachelor of Science degree with a dual major of Organizational Leadership and Biblical Studies. Rick and his wife, Lisa, attend Christ Church of the Valley and are blessed to call Arizona their home. 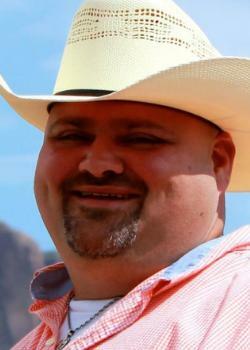 My name is Randy Miller and I running for the Arizona Senate Seat in LD 21. 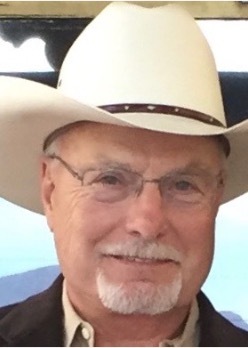 I am a retired Senior Deputy Probation officer. I worked all my life following the law, treating people with respect and compassion under the law, and as an equal. I've seen success, failure, heartache and loss of life in our communities. I've witnessed failed policies and successful ones and the impact, both good and bad, they can have. Our voices have been unheard, our dreams have been overshadowed and our concerns have been ignored. Government has gotten out of control. They spend without accountability, create new laws but enforce only those they want, and lost sight of their purpose. With your support I will work hard to represent all of us just as I represented the interest of our communities and people that live in them during my 20-year career as a probation officer and in business. I have 8 years' experience as a business owner, now I'm in the real estate. It's time the people rose up from the shadows and take back our government as it was intended to be. I hope to earn your support, as your new state senator. It was just a few years ago that you first elected me to the State House. I wanted to serve this great state and look after the taxpayers and families that live here. What a journey it has been. I have been honored to serve as Chairman of the Banking and Insurance Committee, I was elected Majority Whip by my peers, and this year I was asked to step up as Chairman of the Appropriations Committee and guide our state’s budget to passage. Still, I remember that my mission is to serve you all and so I continue to focus on improving our economy and attracting jobs, strengthening the family unit, protecting our state’s sovereignty, and restoring our Constitutional rights. I advocate for secure borders and I have a 100% pro-life and pro-2nd Amendment record. I have earned both the “Friend of the Family” award and the “Hero of the Taxpayer” award. I work for you and I promise to reward your support with a continued commitment to limited government and effective representation. I am running as a team with Ben Toma and Frank Carroll and know them to be outstanding conservatives as well. We ask for your vote! 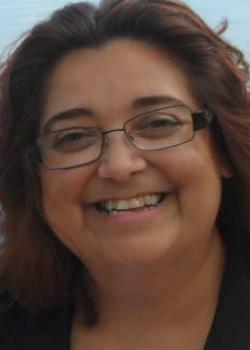 Wendy Garcia founded Indivisible Surprise and organized Save Our Schools in the Northwest Valley. 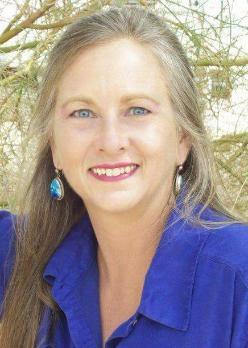 She is an experienced radio news director, fearless activist, grass roots leader, and mother. She knows the importance of protecting vulnerable people’s rights. Special interest groups corrupt Arizona with too much money. Politicians don’t pay attention to everyday people. To restore democracy Wendy will protect voter rights and support publicly funded elections (as a “Clean Elections” candidate). U.S. education statistics rank Arizona’s schools in the bottom 10%. 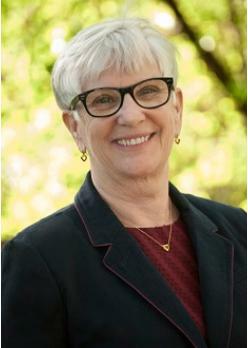 To improve student and school achievement, Wendy will fight for resources and better qualified teachers. Strong public schools protect democracy for “we the people” by teaching citizenship. Quality public schools also teach effective job skills. Healthcare must be affordable and accessible to everyone in Arizona. Wendy supports expanding Medicaid in Arizona with prescription coverage. Arizona’s economy relies upon Cattle, Cotton, Citrus, Copper, and Climate. 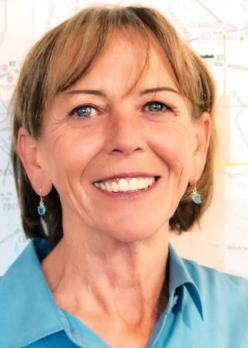 To increase jobs and grow the Northwest Valley, Wendy advocates for developing Construction, Conservation, and Computer industries. Wendy will serve “by and for the people” of District 22 to restore democracy, improve public schools, expand healthcare coverage, and increase good paying jobs. Arizona schools rank among the worst in the country. Strong communities begin with quality schools. As your senator, I will continue the fight for appropriate funding for Arizona’s schools and competitive wages for our state’s teachers, as well as debt-free college. Arizona Health Care Cost Containment System (AHCCCS), Arizona’s Medicaid program, is a federal healthcare program funded jointly by both federal and state funds. I’ll work to expand AHCCCS and to protect KidsCare and ALTCS, (programs for children and those needing long-term care.) Our mass transit system needs expanding to accommodate our ever-growing communities. I’ll focus on improving transportation options in our state and introducing municipal broadband to enhance technology accessibility and reduce prices for consumers. I’ll work with the Senate on laws that encourage water conservation and building with eco-friendly materials. I’m Brianna Westbrook, and I want to earn your vote. I’ll honor my promises in fighting for women’s rights and the rights of veterans, Arizonans with disabilities and all members of our society. I’ve rolled up my sleeves, and I’m ready to work toward a brighter future for all Arizonans. I was born into tough circumstances, including domestic chaos and violence. I lost my big brother to a gruesome murder. Thankfully, my beloved mother taught me to cherish faith, care for others and work hard. I beat the odds, I’m living the American Dream. I’m a husband, father, grandfather, friend and optimist. I serve various companies and non-profits. Governor Ducey asked me to transform the Department of Economic Security to improve social services. We went to work, attacked the status quo, cleaned out deadwood, dramatically increased morale, and improved care for Arizonans in need. Eventually the self-serving status quo fought back, claiming I was cruel for firing hundreds of poor-performing employees and taking issue with my ardent commitment to protect our social workers and clients. The liberal attacks I suffered never dampened my desire to serve others. I’m running for State Senate to make a true conservative difference. 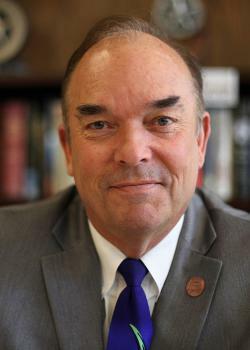 Representative Ugenti voted against the extension of Proposition 301 to fund education, against “Blue Lives Matter” legislation to protect law enforcement, and against anti-bully legislation to protect school children. She even opposes Term Limits. I’m pro-education, pro-police, pro-accountability, pro-border security, pro-jobs, pro-life, pro-Constitution and anti-politician. I hope to earn your vote! 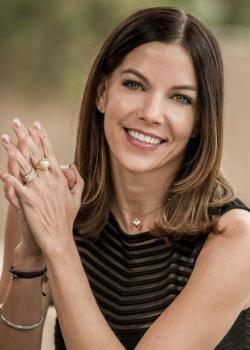 A life-long Republican and successful small business owner, Kristina Kelly is running for State Senate in LD 23 to fight for conservative values and serve her community with integrity. Her core beliefs include reducing the size and scope of government, growing our economy through market-based solutions, and providing a high-quality education for all children. As a long-time education advocate and mother of four children, she understands the value of creating and maintaining safe schools that prepare our children to enter a competitive workforce. She believes in protecting the rights and liberties of individuals, keeping taxes low, and supporting our law enforcement officials who uphold the rule of law. 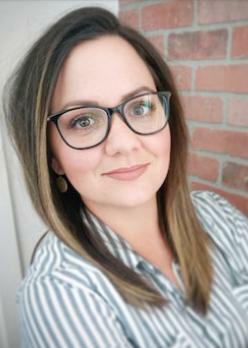 She has earned a bachelor’s degree in American Political Science, a Teaching Credential and Master’s in Education, as well as an Administration Credential and Master’s in Administration. Kristina moved to Arizona 14 years ago with her husband Chris of over 18 years, where they decided to raise their family. Their children have grown up in Scottsdale, where they have all attended public schools. During the last eight years in the House of Representatives, I have build a conservative record voters can rely on. I have also been a leading proponent of policies that help Arizona remain a great place to visit, work and live. As your next State Senator, I will continue to do what I have always done - champion the conservative principles important to you and your family. We must take Arizona FORWARD in providing opportunities for ALL to live healthy, happy, productive lives. The road starts with a budget that provides resources to keep our good public school teachers, and improve our public school facilities. First-rate public schools produce a first-rate educated work force. An educated work force and access to affordable healthcare are critical to attracting JOBS to Arizona. 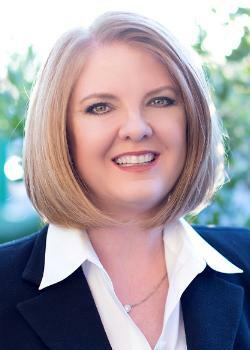 Daria served on the Scottsdale City Human Relations Commission and is active in the local Democratic Party. She attended the Scottsdale City Government 101, Citizens Police Academy, Citizen Fire Academy, Citizen Water Academy. She also attended the FBI Citizens Academy. In 1982 after receiving her B.S. 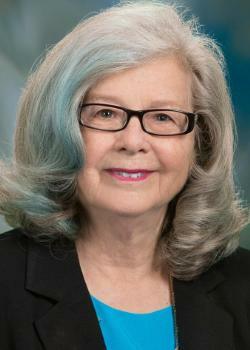 in Physics & Mathematics she worked as a Programmer, retiring from General Dynamics as a Principal Cybersecurity Engineer responsible for designing and verifying security in systems developed for the US Military. 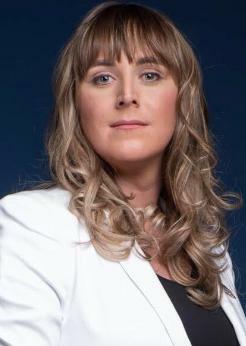 She has Professional Security Certifications CPT, CEH, CISSP, and ISSEP. Prior to her B.S. she worked as an electronic metrology technician. In 1995 Daria’s spouse died leaving her to raise her daughters then 7 and 9 years old. She moved to Scottsdale in 2000. 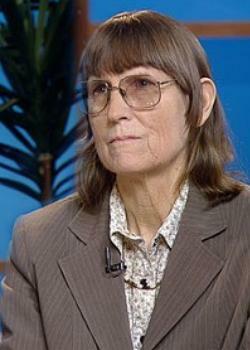 Daria served in the Army 1967 –1973, in Vietnam, and is a VFW Life Member. LD 24 deserves a voice. For too long the same permanent politicians have failed to listen...failed to keep the promises the made at election time then seemed to forget once in office. It is long past time for change. I have fought for Arizona families my entire life. Now it is time to take that fight to the Capitol. Arizona is a beautiful state full of opportunity. I was raised here. I started my business here. I believe in Arizona...and I believe in you. Now believe in me as I make sure your voice is heard in the Legislature. You will not be disappointed. For the past 8 years, I have represented LD 24 in the AZ House of Representatives, and it would be my honor to serve as the AZ State Senator for LD 24 in the 54th Legislative Session. Throughout my career as a lawmaker, I have championed our public schools and universities, advocated on behalf of our most vulnerable communities and worked to find common ground with my colleagues and pragmatic solutions to the challenges confronting our state. Accessible and affordable public education that prepares Arizona's young people for 21st Century careers, improving the lives of children and families and defending the civil rights of all of Arizona's citizens will continue to be my priorities, should I be elected to represent LD 24 in the Arizona State Senate. I am a native Arizonan and the proud product of our public-school system, from kindergarten to graduate school. I believe in the potential of our young people and Arizona, which is why I want to continue working for the people of our great state as LD 24's State Senator. I'm passionate for Our God-given Right to Liberty with Small Government! I'm a Proud Member of the Chickasaw Nation of Oklahoma. Arizona has been "home" most of my life. A Constitutionalist/Strict Constructionist, I stand for Freedom and seek Justice! 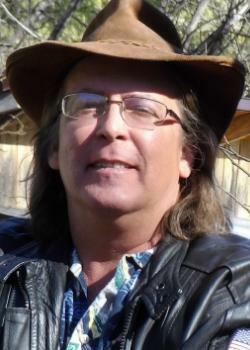 I fight to unshackle the U.S. Constitution, and to purge progressivism (collectivism) from the Arizona Constitution! I'm Pro-Life, Pro-2nd Amendment, Pro-Real Education, Pro-Sane Immigration, Pro-Wall, and, ANTI-Illegal Entry & Amnesty! Our Republic must have Borders to survive! Understanding our Founding Principles and Rule of Law fuels my desire to serve in our State Senate. I Pledge: To fight to revive and protect our God-given Liberty! To promote the greater knowledge of Self-Governance essential to Making America Great Again! To fight to establish & maintain REAL "education" in Arizona! 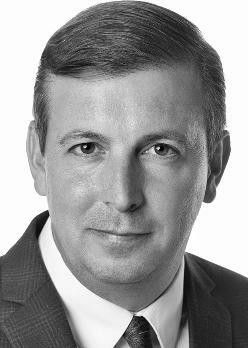 EXPERIENCE: Constitution & legal research/related writing, citizen lobbyist, "FREE AMERICA!!!" Publisher, substitute teacher, consulting manufacturing/quality engineer in aerospace microelectronics, w/papers published worldwide; solar testing/manufacturing, microelectronics manufacturing, auto body repair/supply industry, World-Class Dairy Goat Breeder, 4-H Club Leader. EDUCATION: Garfield & Paradise Valley Schools, Paradise Valley High School Graduate; Attended Maricopa & Navajo County Community Colleges. Associate of Arts in Philosophy, with Honors, El Camino Community College, CA. As senator in LD25, I will ensure child welfare, clean air, high public education standards, the mitigation of mass incarceration and recidivism. Conservative family values, economic opportunity within LD25, and the defense and application of the Constitution of the United States are paramount to the success, sustainability and well-being of LD25 community members. I am running for office as a concerned mother, child health advocate and champion of civil rights. I taught English as a Second Language in Mesa Public Schools prior to my long-standing career in behavioral health. Mis preocupaciones primarias son bienestar del niño, aire limpio, altos estándares de la educación pública, la mitigación del encarcelamiento de tantas personas y reducción del recidivism. Los valores conservadores de la familia, la oportunidad económica dentro de LD25, y la defensa y la utilización de la constitución de los Estados Unidos son supremos al éxito, al sustainability y al bienestar de nuestros miembros de la comunidad. Estoy intentando para la oficina del senado porque soy una madre preocupada del bienestar y salud de los niños y luchadora de las derechas civiles. Enseñé inglés como segunda idioma en escuelas públicas del Mesa antes de mi carrera de muchos años en salud mental. 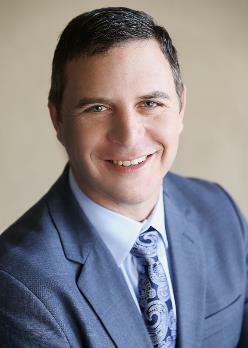 Juan Mendez is a first generation Chicano and native Arizonan. Having lived across Maricopa County he attended Tolleson Union High School, received his associate degree from Phoenix College, then graduated with a B.A. in Political Science and a minor in Justice Studies from ASU’s Tempe Campus. Juan’s passion for politics and social justice is reflected in his commitment to building strong communities. 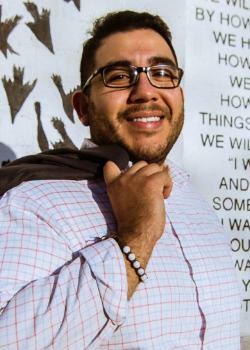 Juan first started serving on the City of Phoenix Human Services Advisory Committee working with fellow community leaders to recommend improvements to local senior and family service centers and programs for the homeless. 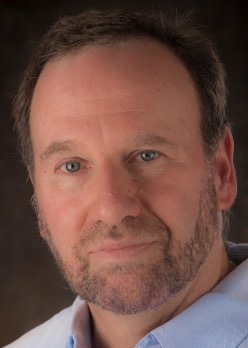 He then went on to manage the nonprofit Community Voice Mail, where he connected thousands of people living in poverty, transition and homelessness to jobs, housing, information and hope. 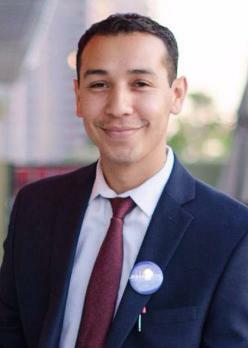 Juan then served on the Tempe Community Council, as a planner, advocate and resource to improve the funding and policies affecting human services in Tempe and the surrounding communities. 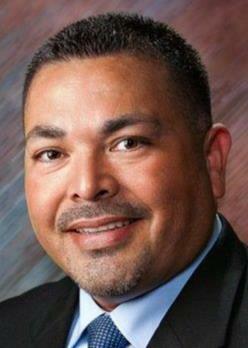 Outside of the legislature Juan served as a substitute teacher for Tempe and Mesa High Schools. 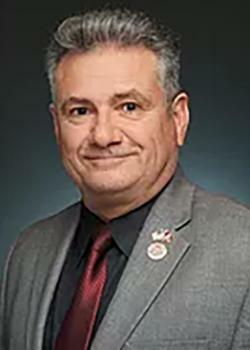 Elected to the State House in 2012 and now a State Senator, Juan sits on the Transportation and Government Committees and is elected chair of the Arizona Legislative Latino Caucus. 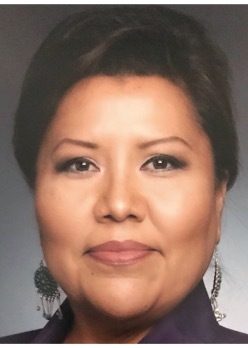 A Tsenjikini Navajo clan member with the Navajo Nation, Debbie Nez-Manuel is the founder of Morning Star Leaders, an Arizona nonprofit which promotes core values of indigenous life through cultural programs and leadership opportunities for Native American youth. 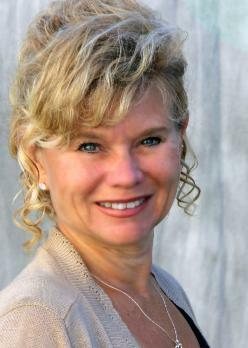 A graduate of Northern Arizona University and Arizona State University, Debbie earned a bachelor’s degree and a master’s in social work. As a recipient of the 2016 Arizona Governor’s Volunteer of the Year Award, Debbie was recognized for her tireless dedication to urban and rural Native youth throughout Arizona. 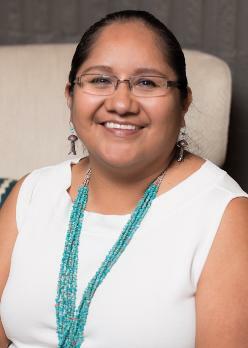 Prior to her nonprofit work, Debbie was a Salt River Pima-Maricopa Indian Community public servant, spending twelve years (12) as a social worker providing support, guidance and leadership to various counseling programs for families and individuals, including incarcerated individuals. This counseling work typically involved educational outreach in community schools because a school is often one of the best places to reach youth who are impacted by family issues at home. 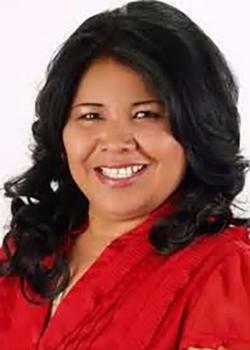 Though Debbie was originally raised on the Navajo Nation, she resides in Salt River Pima-Maricopa Indian Community with her husband Royce of twelve (12) years. She remains an actively involved mother of three children. 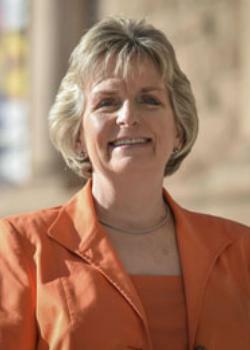 Kate Brophy McGee is a third-generation Arizonan who has served three terms in the Arizona House beginning in 2011. 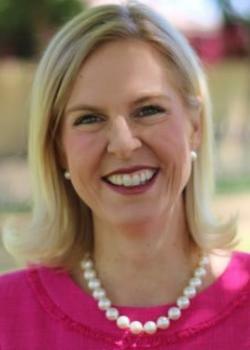 In 2016 Kate was elected to represent Legislative District 28 in the Arizona Senate. 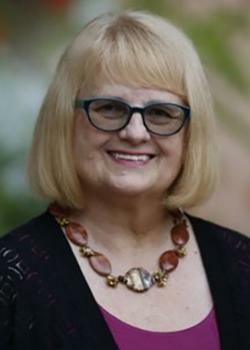 Prior to legislative service, Kate served for nearly a decade on the Washington Elementary School Board, including four terms as Board President, and was appointed by two Arizona governors to serve on the Arizona School Facilities Board, including one term as Chair. 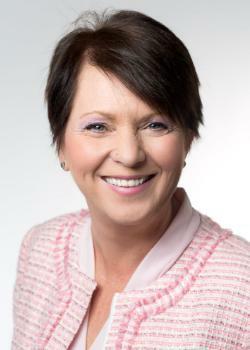 Kate is Vice Chair of the Senate Education and the Senate Health & Human Services committees and a member of the Senate Transportation & Technology Committee. Her legislative accomplishments have been widely acclaimed. They include lifesaving legislation for underinsured/uninsured women diagnosed with breast cancer, legislation establishing the Department of Child Safety, and enacting Angel's Law - requiring background checks on all adults in the home before the child is returned. This past Session Kate sponsored bipartisan legislation to continue Prop 301, a dedicated funding source for our schools, plus legislation to responsibly regulate sober living homes to protect both neighborhoods and patients. Kate fights to protect our children, our families and our neighborhoods. She works to build and strengthen Arizona businesses. 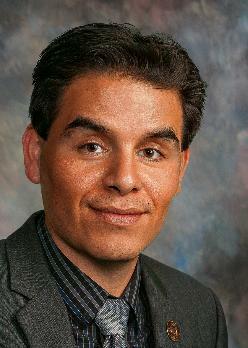 Otoniel “Tony” Navarrete was born and raised in Arizona to immigrant parents. 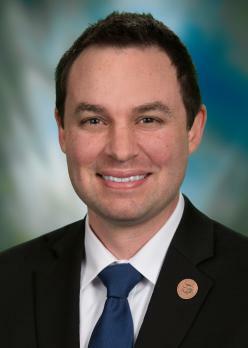 He currently serves as Deputy Director of Promise Arizona, where he works to advance policies that strengthen families and civic participation. Tony was raised in West Phoenix in a home built by his late grandfather. 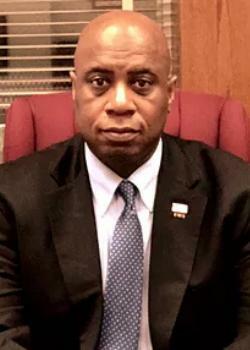 He attended the Isaac School District, Carl Hayden Community High School, and later earned an undergraduate degree in Urban and Metropolitan Studies from Arizona State University. At an early age, Tony was inspired to think about and promote social justice, including breaking the cycles of poverty through community development at the nonprofit Neighborhood Ministries. 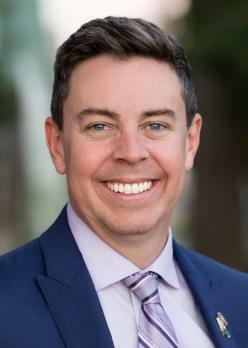 Following years of community involvement and working closely with formally adjudicated young adults, he moved to New York to work on housing and jobs issues, an experience he brought back home to Arizona after learning mother was diagnosed with breast cancer. Today, she remains in remission. Since returning to Arizona, Tony remains committed to working with leaders throughout Arizona, while actively fighting to advance comprehensive immigration reform. As State Representative in the 53rd Legislature, Tony sponsored/cosponsored over 60 bills focusing on strengthening education, expanding access to voting, promoting small businesses, and reforming our criminal justice system. 146 n. mt. vernon ave.
State Representative Noel Campbell's entire career has been spent in service to our country: first as a Navy pilot who flew combat missions in Vietnam, then as a U.S. Customs agent working on the Mexican border, and finally as a helicopter and tanker pilot fighting fires for the U.S. Forest Service. During his career, Rep. Campbell learned the values of teamwork and cooperation; qualities he certainly took to the Capitol with him. In his first term, he sponsored H.B. 2107 which gave cities and towns permissive authority to regulate structured sober living homes -- a problem which plagued the City of Prescott for more than a decade. It passed with overwhelmingly bi-partisan support in both Houses and was signed by Governor Ducey. 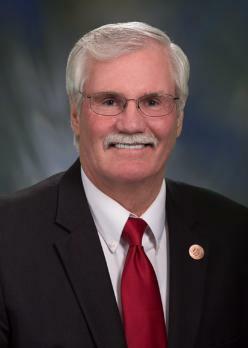 Rep. Campbell looks forward to continuing to serve the constituents of LD-1 this next legislative session as chairman of the Transportation Committee. 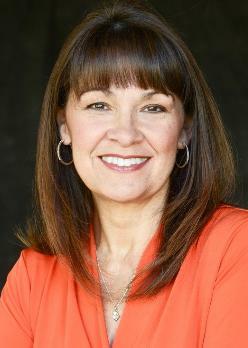 Jodi Rooney is a product of the 70’s and a first generation college graduate, an alumna of Augustana College, Rock Island, Illinois. 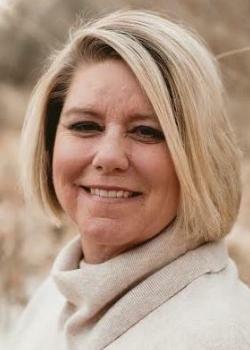 She has an extensive background in public service and is currently a Prescott Valley Town Councilmember. 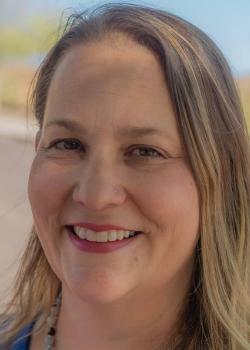 To focus on her campaign, this professional retired early to run as a Republican for an Arizona Legislative District 1 House seat. 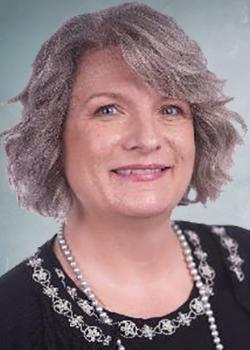 She most recently served as the Local Public Agency Section Manager for the Arizona Department of Transportation (ADOT). 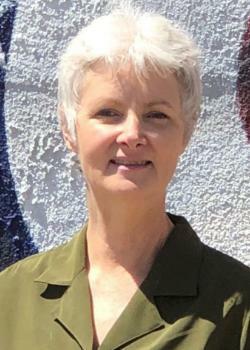 Her work career experience included other leadership positions working as a Senior Division Administrator, ADOT; Manager for the ADOT Project Resource Office; and, Administrator for the Central Yavapai Metropolitan Planning Organization (CYMPO) in the Prescott urbanized area. 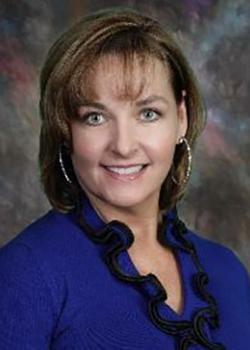 Additionally, Jodi enjoyed a career with the Illinois Department of Transportation before coming to Arizona. 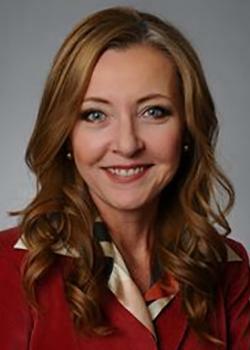 She has worked at the local, regional, and state level including federal process. 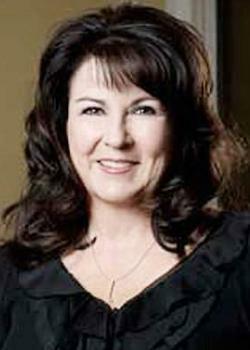 She and her husband, Casey Rooney, have been eleven year residents of Prescott Valley, Arizona. They serve locally at their house of worship and volunteer across Yavapai County. Jodi is a member of the Women’s Transportation Seminar (WTS) and the National Society for the Daughters of the American Revolution (DAR) Piestewa Peak Chapter. As a small businessman, I've spent my life in the private sector, creating jobs and economic growth. As a civic activist, I've been a taxpayer advocate, standing up to liberal politicians who want to raise taxes and grow government. Now, after my first term in the State House, I can point to my record cutting taxes, boosting classroom funding and teacher pay, reducing regulation, and promoting Arizona's status as a top job creating state. It's been great to work with State Representative Noel Campbell. Our district has been well served by having a strong team working together. Standing up to liberal special interests has earned us a primary from a nice lady who thinks our conservative record is bad. But that's okay. Voters should have the opportunity to make that decision. We'll continue to fight to restore our Constitutional rights, defend the 2nd Amendment, secure our borders, stop Common Core, cut goverment regulations,, defend state sovereignty, encourage rural job creation, and advance water and forest health issues. We will give our whote district from Anthem to Ash Fork, a strong, conservataive voice. All we need is your support and your vote. I have had a long successful career in the information technology field as a problem solver. My slogan, “JAN CAN, WE CAN” reflects my ability to achieve goals. 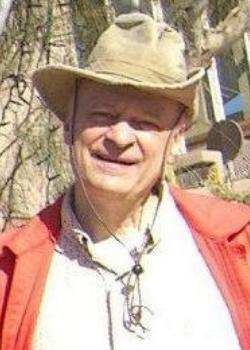 I am a retired Technical Services Manager beginning my career after high school in information technologies. I was a Senior Systems Consultant for Computer Associates for 8 years. I served 18 years as Technical Services Manager, in a leadership role, for the LA County Sheriff Department. I have a bachelor’s degree in business and dual Master of Science degrees in Information Technologies and Business Administration. I served as adjunct faculty member of the University of La Verne in California, and served six years as VP, Board of Directors for Solheim Lutheran Home. I moved to Prescott in 2014. I serve as Ambassador for Alzheimer’s Association, Treasurer for Arizona Federation of Democratic Women (AFDW), and Treasurer for the Democratic Women of the Prescott Area (DWPA). As a Representative in Arizona’s State House, I will fight for affordable health care, quality public education for every child, promote fiscal responsibility, and support sustainable energy and water conservation. 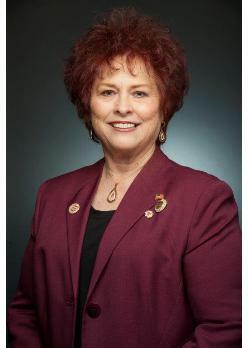 I would be honored to serve as your Representation for District 1 in the Arizona House of Representatives. I am an Eagle Scout and an Engineer. I will be proactive in solving problems that impact our district residents. I believe all elected officials are to be conducting themselves as "Representatives of The People". As by nature a problem-solver, I will defend and protect our rights which is a nonpartisan expectation. My past legislative activities include articulating 2016 Session’s HB2050 Bill which would have amended ARS 41-1034 Declaratory Relief from unconstitutional state agency and state department judgments that intrude into our “Liberty”. Our Constitution states “Liberty” as being defined as our wages, children, home and property. Having been an orphan and having lived in a third world country, I clearly know the difference between a world without freedom, liberty and opportunity! I am grateful to have this opportunity to meet with district residents and to have discussed many problem-solving ideas that will help to improve our day to day lives in our state. I look forward to rolling up my sleeves as we solve problems together through our state law making process! Go to ElectSizer.com to learn more about Anthony Sizer. God Bless and Thank You for supporting my candidacy! Leadership, Experience and Common Sense; it is an honor to take ideas from Southern Arizona to the State House of Representatives because that is what Arizona needs; a little common sense and straight from the heart. 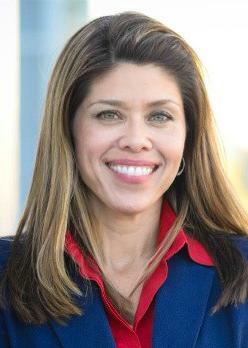 Rosanna is running for her fourth term as an Arizona State Representative for Legislative District 2. 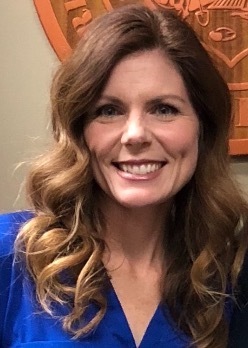 Rosanna is known for her work with the local stakeholders, school boards and business partners to bring together successful opportunities for growth and education. She is most proud of her participation in programs that involve working with children. Rosanna’s believes in creating opportunities and prosperity by supporting and encouraging public education and economic development efforts. She is a champion for protecting Arizona’s unique environment and protecting our most vulnerable. 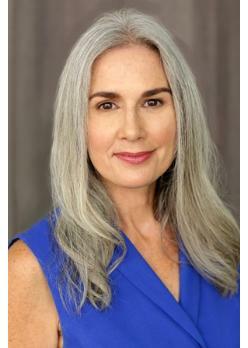 Rosanna serves on the Friends of the Green Valley Library, the Southeast Arizona Advisory Board of the Chicanos Por La Causa, Advisory Council of the Green Valley Salvation Army, and the Southeast Arizona Citizens Forum Board of the International Boundary Water Commission. Together we have been successful in bringing together the collective energy and leadership necessary to shape the future of our State. 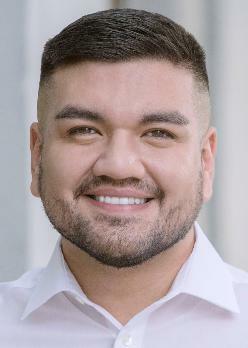 Daniel Hernandez Jr., is a native Arizonan, lifelong Democrat, and Member of the Arizona State Legislature representing South Tucson, Sahuarita, Green Valley and Santa Cruz County. 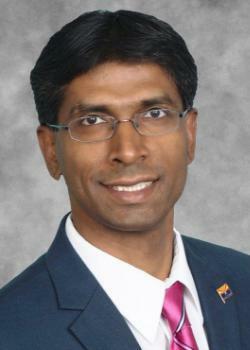 He currently serves on the Judiciary and Federalism Committees and is the Co-Founder of the LGBT Caucus. In his first term, Hernandez has received praise for his work to find bipartisan solutions; from introducing a bipartisan resolution in recognition of Israel’s Independence Day, to his first bill to exempting diapers, baby formula, and feminine hygiene products from sales taxes, which was passed in committee with wide bipartisan support, he has worked hard to achieve meaningful impact. Dedicated to working on innovative solutions to address Arizona’s economy, Hernandez helped pass legislation to protect small business from frivolous lawsuits. In 2011, while working in the office of Congresswoman Gabrielle Giffords, Hernandez took actions on January 8th with which he is credited with saving her life. That day and the aftermath drove him to advocate for Gun Violence Prevention at the state and national level, which he does to this day. 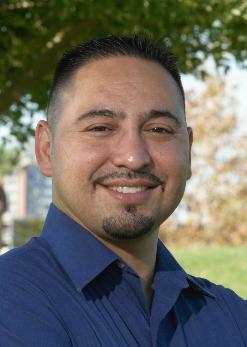 Prior to serving in the legislature, Hernandez was elected to the Sunnyside Unified School District Governing board in November 2011. 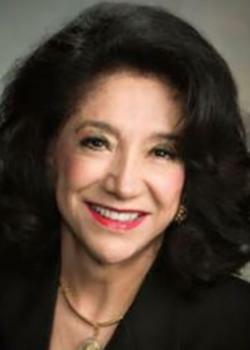 Senator Olivia Cajero Bedford was well versed with state politics long before Tucson citizens honored her by electing her to serve in the Arizona Legislature. 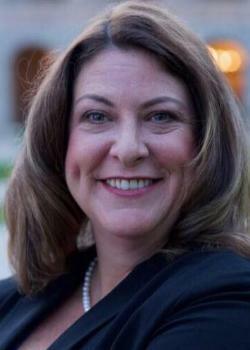 She served eight years as a State Representative to her constituents and in 2010, she won the Senate seat. She grew up in a political family that placed a high value on public service. 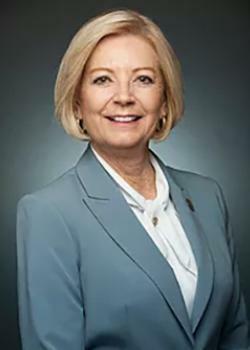 Understanding the importance of public service, Senator Cajero Bedford became the second generation in her family to represent southern Arizonans at the state Capitol. She provided her parents, Rep. Bernardo “Nayo” Cajero and Rep. Carmen Cajero, with advice on important votes during the 28 years they served in the Arizona House of Representatives. She urged her parents to ensure that high school students receive free text books and that the state provide funding to establish the University of Arizona Cancer Research Center. 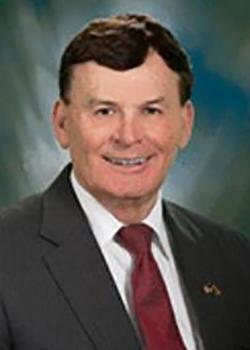 Since taking office in 2003, Senator Cajero Bedford has fought to defend a woman’s right to choose. This issue is important to her and remains at the top of her list each session. 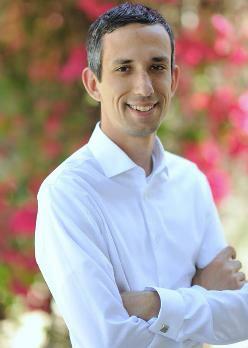 Andrés Cano is a Democratic candidate for the third legislative district in the Arizona State House of Representatives. The 2018 primary election will take place on August 28th, 2018. Raised by a single mom, Andrés saw a path for advancement in Arizona’s public schools, becoming the first in his family to graduate from college. He has spent the last 10 years working to advance equity, fairness, and opportunity for Southern Arizonans from all walks of life. Andrés, a sixth generation Arizonan, vowed to serve his community as a young child after witnessing his grandmother succumb to an occupational lung disease. Andrés got his first summer job with Pima County at age 14. 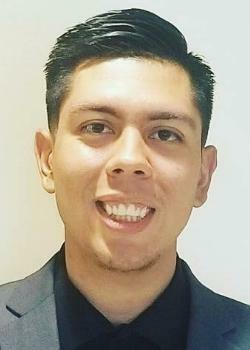 Six years later, he returned from college to serve as an aide to Pima County Supervisor Richard Elías, becoming the youngest policy advisor in County government. In 2016, the Center for the Future of Arizona named Andrés its 'Emerging Leader.' The award is given to a public servant who has the potential to have an impact on Arizona's future for generations to come. Andrés became the first Latino, and the youngest, awardee in the organization's history. 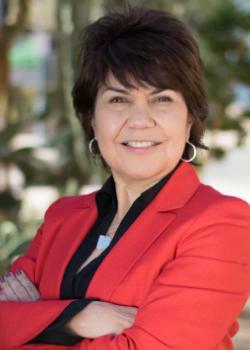 State Representative Charlene Fernandez currently serves Legislative District 4 -- which includes parts of Yuma, Maricopa, Pima, and Pinal Counties -- in the Arizona legislature. Charlene is one of the legislature's strongest advocates for public education, frequently pushing for more school funding from her position on the appropriations committee. Prior to being elected to the legislature, Charlene worked in a variety of policy and constituent service roles for Congressman Ed Pastor, Governor Janet Napolitano and Congressman Raúl Grijalva. 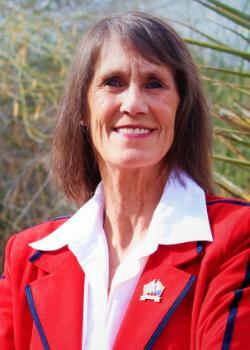 Charlene also served for more than 12 years on the Yuma Union High School Board. Charlene was born and raised in Yuma, Arizona. 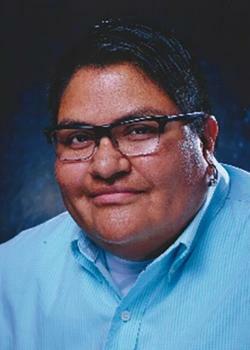 She graduated from Northern Arizona University with a degree in elementary education. Charlene and her husband, Sergio live in Yuma and together raised three children Brian, Carlye, and Lisa. Charlene asks for your vote in November so she can continue her mission to raise teacher salaries, fight for rural Arizona's fair share, and implement common sense solutions for residents of District 4. 18322 W. Sweet Acacia Dr.
With 30 years of experience in education, rising from teacher to superintendent to construction supervisor to consultant, I have much to contribute to Arizona’s educational crisis. Having a Doctorate in Education - Curriculum and Instruction; along with a Master of Science, Construction Management; a Master of Arts, Supervision and Administration; and Bachelor of Arts, Vocational Education means that I can relate to the struggles of the unskilled worker or the college graduate, the administrator wrestling a budget or the electrician wrestling with new city codes; the management of people and the management of materials. With a lifetime of experience, now is the time to capitalize on my experience and credentials to benefit the community. My top priorities are education; quality of life such as democratic participation, access to health care, a safe and clean environment, living wage jobs, and affordable housing; and reducing mass incarceration so that Arizona is Number One in Education not Incarceration. I bring my most important values of honesty and integrity to the issues in my district: water policy, roads and infrastructure, and stable employment. I currently serve on the Land, Agriculture and Rural Affairs and Transportation committees in the House. I moved to Kingman after graduating from dental school in 1993. I have raised 2 daughters in Kingman and I am proud to be part of our community. Having served as the President of the Kingman Chamber of Commerce and running my own small business, I understand the daily struggles of government regulation and the burden of over taxation. I am proud to serve as your State Representative. From tackling critical issues like lowering our state income tax to responsibly investing in our local schools and infrastructure, I believe government is like your tax bill: the smaller the better. Join me in protecting our great state by keeping our communities safe and standing up for our Constitutional rights. I am grateful and honored to have received the designation of Champion of the Taxpayer from Americans for Prosperity and to get an A+ rating from the Arizona Free Enterprise Club. I am dedicated to pro-growth and free market principles. I am pro-life and a constitutional conservative who will ensure that we have a balanced budget while promoting economic development, achieving reasonable deregulation and protecting our liberties. I want to continue to serve the good people of LD5 and keep Arizona free and great. My wife Brynley and I have been blessed with seven wonderful children. 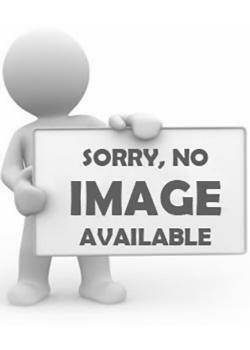 I graduated from the Brigham Young University Marriott School of Management with a Financial Services degree in 2006. We are very involved in our community and our church. I regret that I have but one life to give for my country. I love God, my family and my country, and I want to do everything within my power to keep Arizona and this nation free, conservative and to uphold the Constitution of the United States that our Founding Fathers gave their lives and their fortunes for. Re-Elect Paul Mosley for State Representative. Thank you for your Vote and Confidence! I'm a writer. I love being involved and working with the community. 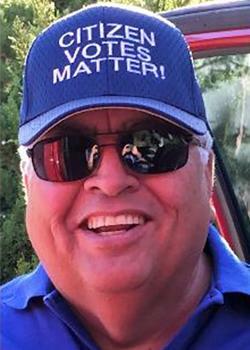 I am currently Precinct Committeeman , Appointed Notary through the state of Arizona and I am also a Appointed Board Member for the Selective Service of the State of Arizona. I am a ambassador for Shared Hope International which is a volunteer. I was born and raised in Arizona. I am a chapter leader for RCA . I have many job experience . I’ve volunteered to help with campaigns and other different things. I’ve graduate high school 97 and have some college. Summer of 95 I was in Tucson Fire Department cadet program And summer of 95 I was also in a program called project high yield through to TUSD school district as a teachers assistant. I've also taken online courses on legal studies we just recently moved to Kingman Arizona from Gilbert Arizona. I am running is because there’s issues in Az that I would like to change and I want to promise those changes and my father in law Inspired because I see how many different changes that he makes Through The state of Arizona and the United States .I want to make USA safe. I am running as a write in candidate for Assembly District 5 to do my part in draining the swamp. We see candidates with horrible records and reputations running for office, and it has to stop here. 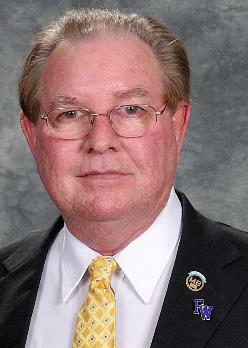 I am a local business owner in Lake Havasu City, I am a Veteran of the US Army, and am very conservative politically. As your representative, I fully commit to only serving 2 terms, and then leaving politics. I say this because I don't think most politicians start off corrupt, but most make a career out of it. I will serve 2 terms, and then go back to focusing on my business and my employees. My husband John and I have resided in Kingman since 2005 and in Phoenix 1990-1996. 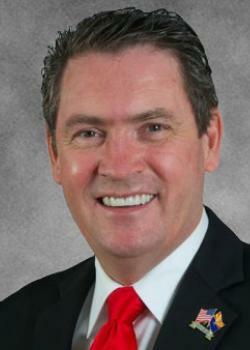 In 2012 I retired after 37 years with Accenture as Senior Executive. Accenture PLC is a global management consulting and professional services firm. A Global company with 425,000 employees. In 2015 I retired from Cayuse Technologies, General Manager/CEO. In 2005 I worked with the Confederated Tribes of the Umatilla Indian Reservation to design, build and launch Cayuse Technologies a 100% Native American owned company. Cayuse Technologies provides a solution to US organizations to keep work in United States. I am active in my local Democratic Party. I attend City Council meetings. I'm a voice supporting development and growth. I marched in Washington DC. I marched in Kingman for March for Our Lives REDFORED. I support DACA, BlackLivesMatter, Women’s right, renewable energy, infrastructure and JOBS! I grew up in small rural towns where no one cares what is important to our communities. I care and I want to break this cycle, make your voices be heard and counted. Now I want to march for you, be a voice for you, I know how to get things done. I know how to listen!